There are many reasons that your business should find and retain a business lawyer to address your legal needs. Having an attorney on retainer ensures that you will not have to scramble to find “the right lawyer” at a time of legal difficulty. 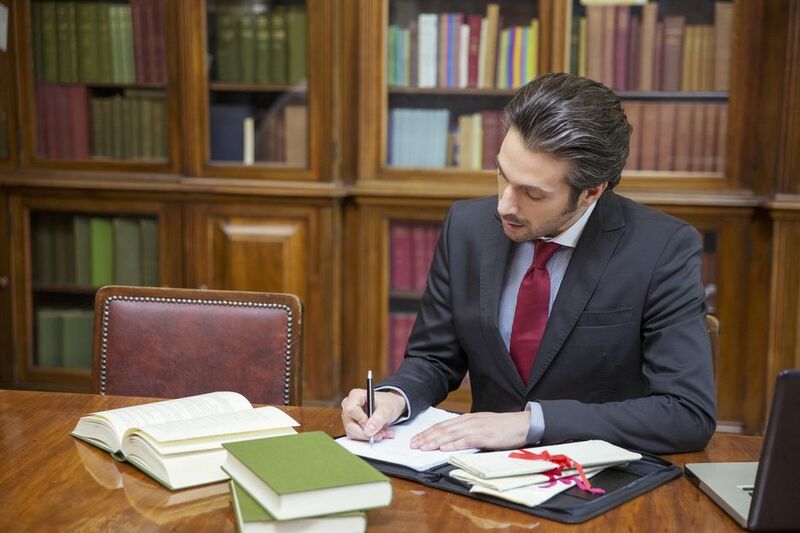 By having a business attorney on retainer, you can have the advantage of time to work out a prudent legal strategy with your attorney -- hence increasing your chances to prevail. By having an attorney on retainer before any legal troubles begin, the attorney that will help you will already be familiar with your business and will have the advantage of a head start on the type of services or products your company offers. Your attorney’s upfront familiarity with your company can help to streamline the process of working through legal issues when the time comes. At the onset of the development of the corporation, the counsel and advice from an attorney can prove invaluable as you work through which type of business you want to create and why. In the United States, for example, a new company can be incorporated as an LLC (Limited Liability Corporation), as a C-Corp or as an S-Corp. Each type of these business incorporations has a unique structure and significant tax implications. This is why it is best to retain an attorney before even submitting the paperwork for the business incorporation to make sure that the structure you select will meet both your short term and longer term profit targets and partnerships if any. As human beings, we inherently expect that other individuals, especially business partners that were carefully screened and selected will act in good faith and honor their fiduciary duties to the company. Often, to make sure that all business partners live up to their obligations, we have an attorney draft a partnership agreement that is executed by all partners. The purpose of a partnership agreement is to clearly outline each partner’s expectation of the other partner(s). The agreement can also include the specific responsibilities and fiduciary duties of each partner. You do not want to make the mistake of finding out two years into the business that your business partner is a fraud that hastily abandons the business when times get tough. Without the benefit of a partnership agreement up front, the remaining partner(s) has only expensive litigations options to pursue the dishonest partner. Employees can and do sue their bosses and the companies that they work for when they believe that they have been harmed in some way as a result of their employment. An employee may claim, for example, that are working in a hostile work environment and file a lawsuit for this reason. There are many other reasons why employers become frustrated enough to file a lawsuit. Exercise proper performance management and inspiring leadership, and chances are, these good practices will minimize the amount of employee dissatisfaction to the level of a lawsuit. Be prepared for an employee lawsuit if it happens by consulting with your retained attorney. Even if your business attorney is not a litigation attorney, she/he can recommend an expert in that area and help brief them about the case. Every business, whatever its size has a contractor or vendor that they have negotiated and executed contracts with. A rigorous process was likely used to ensure that the contract terms were fair for both sides and had reasonable expectations on the part of the buyer and seller of a service or product. In this scenario, the business is the buyer, and the contractor or vendor is the seller. Often, a business attorney can step in with an informal letter to the vendor and inform them of their breach of the contract, if one occurs. A breach of contract can range from an inability to deliver the product or service in the timeframe prescribed in the contract; providing low quality or inferior products or services; or providing no service or product at all. The retained attorney can help to work with the vendor to demand what is owed and hopefully avoid further escalation of the breach of contract. Using the retained attorney in this manner can be a huge money and time saver. Finally, and most importantly, in order to maintain profitable operations for the business, it is important to recognize that attorneys cannot be replaced by an App or a software package or any other technology. Business attorneys are highly skilled and specialized lawyers whose services help to legally protect the business. The internet can be a great resource to answer simple legal questions, but a retained business attorney can manage the situation through complex laws and court processes. There are several websites that offer background data and customer reviews about business attorneys. For example, avvo.com provides contact information for various types of attorneys and users are able to post specific questions that are answered by experts in their specific area of practice. This site can help to streamline the process of finding and retaining the right lawyer for your business.